On April 25, the University of California will bring together a wide range of experts in the state Capitol for thoughtful discussion of drought and water supply issues. 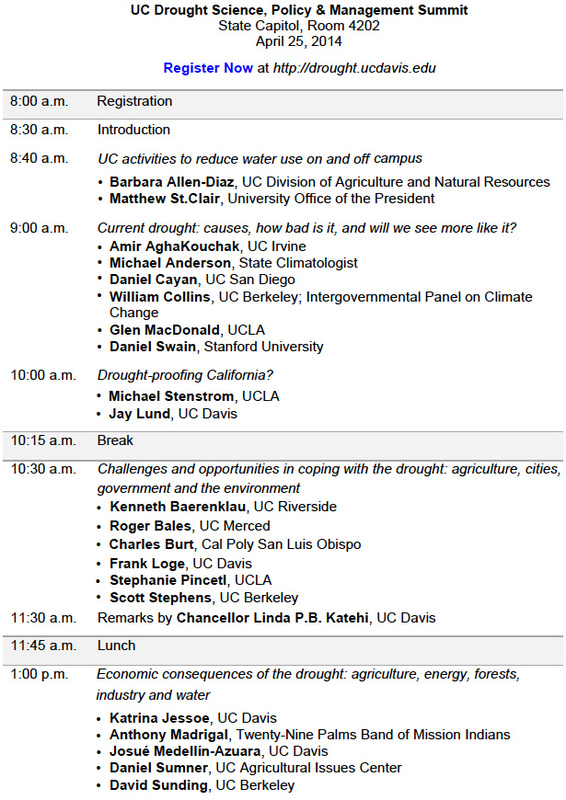 We are honored to host the daylong UC Drought Science, Policy & Management Summit, which is free and open to the public. Faculty from across University of California campuses will explore with other experts and policymakers how to lessen the effects of the current drought and prepare for future ones. As you see in the agenda below, we cover a lot of ground and many points of view: agricultural production and jobs, energy use and production, fish and wildlife, the California economy, water conservation, public health and wildfires. Discussion panels and talks run from 8:30 a.m. to 4:30 p.m., followed by a reception at the UC Center Sacramento. 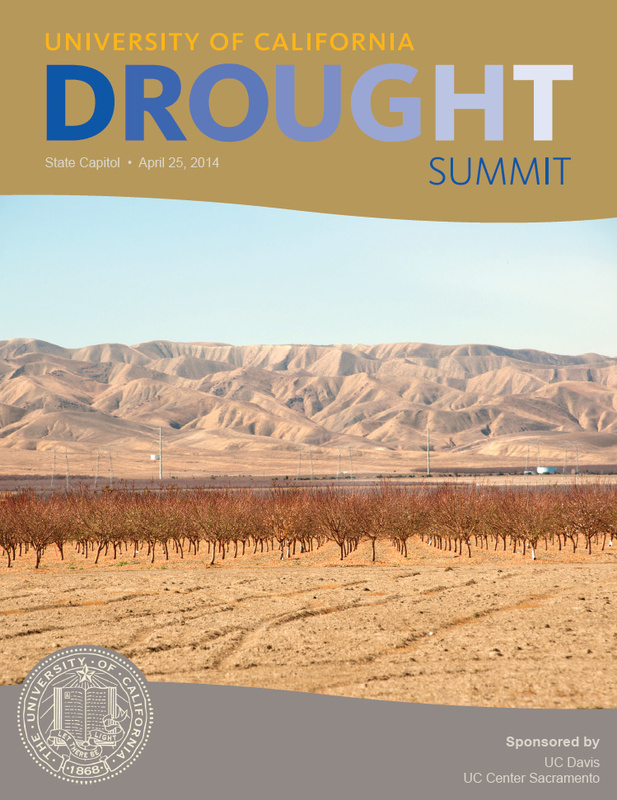 We expect the summit will spur collaborative problem-solving engagements that outlast the current drought. Please join us for this special occasion. CLICK HERE to register. 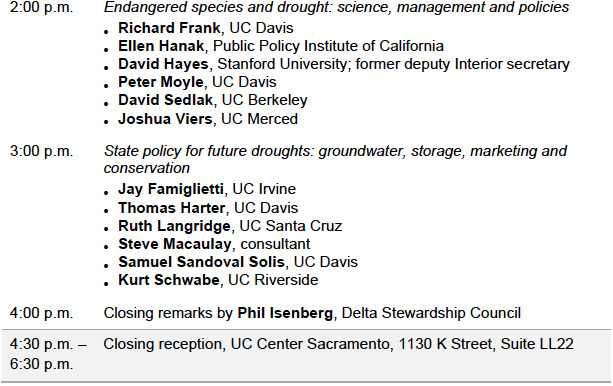 This entry was posted in Uncategorized and tagged drought, Jay Lund, UC Drought Summit. Bookmark the permalink.